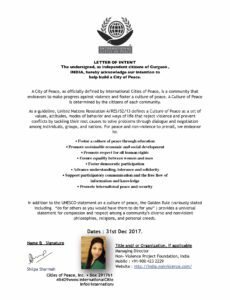 Project Non-Violence, India started operations with introductory meeting to launch its initiative of “Peace Clubs for Sustainability”. The group made very good progress and reached out to 2000 schools that are running Eco-Clubs with support of Government of Delhi. Most of these schools have agreed to convert their Eco-Clubs into “Peace Clubs for Sustainability”. They have already started installation of Peace Clubs in Delhi, Uttarakhand, and Maharashtra. 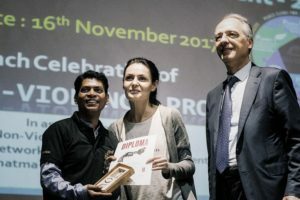 Project Nonviolence is a non-profit educational initiative based in Geneva, Switzerland. 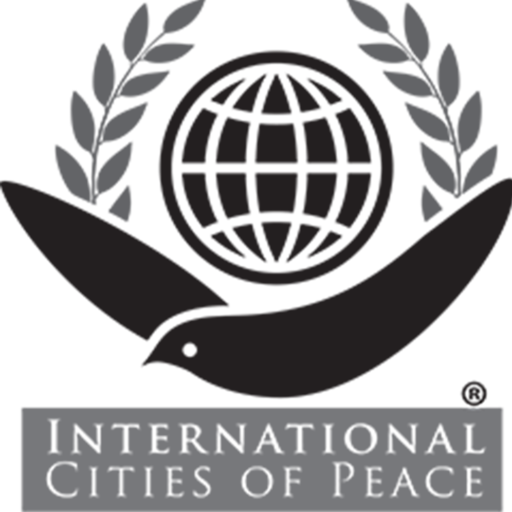 Established in 1993 and operating in 30 countries on five continents, the organization own and cherish the rights to the sculpture and symbol Non-Violence, with its original placed outside the UN Headquarters in New York. We welcome Birendra Kumar, Country Director for India, and his colleagues who are establishing cities of peace throughout the country in the name of nonviolence. 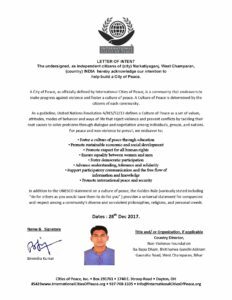 Birendra Kumar is the liaison for Narkatiaganj, India: City of Peace; Sheetal Joshi of Kolkata, India: City of Peace; Shilpa Sharma of Gurgaon, India: City of Peace; and Thomas John Palekkudy of Ernakulam, India: City of Peace. 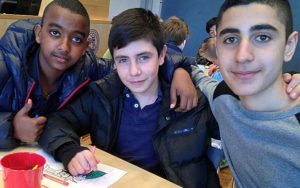 The mission of the Nonviolence Project Foundation is to inspire, motivate and engage youth to understand how to solve conflicts peacefully. The worldwide group has educated and trained more than 8 million students, athletes, teachers, coaches and youth leaders since 1993 and are aiming to reach one hundred million by 2030. In September 2015, 196 countries signed the United Nations 2030 Agenda for Sustainable Development. 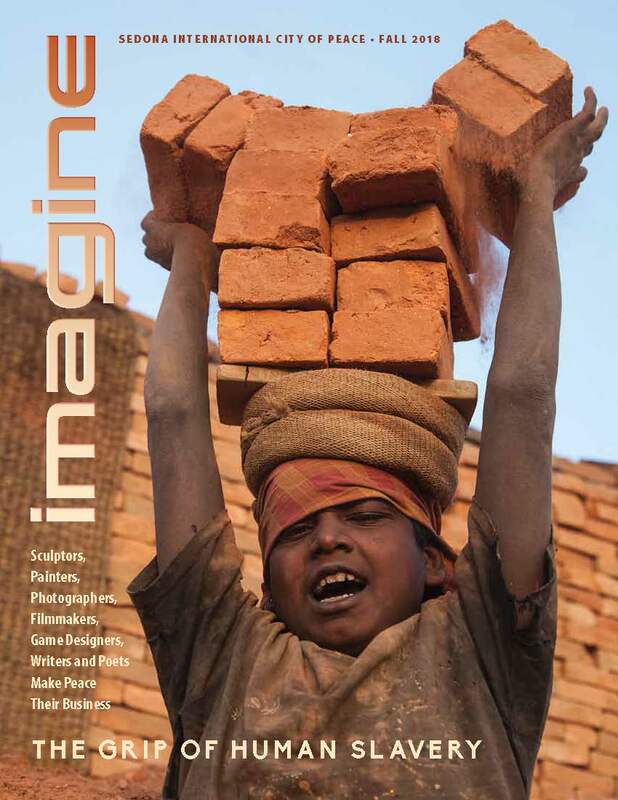 The issues of non-violence, peace and education are listed in the 17 global goals. 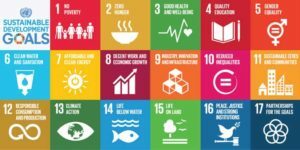 The 17 goals are covering issues on how we humans shall live and develop up until the year 2030 in order to survive on planet Earth. 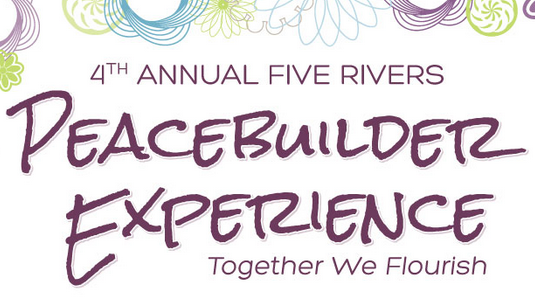 The Foundation is offering this strong peace symbol to cities around the world. By placing the bronze sculpture in your city center or staging a Non-Violence exhibition, featuring replicas interpreted by our ambassadors, you communicate a strong non-violence message to your citizens. 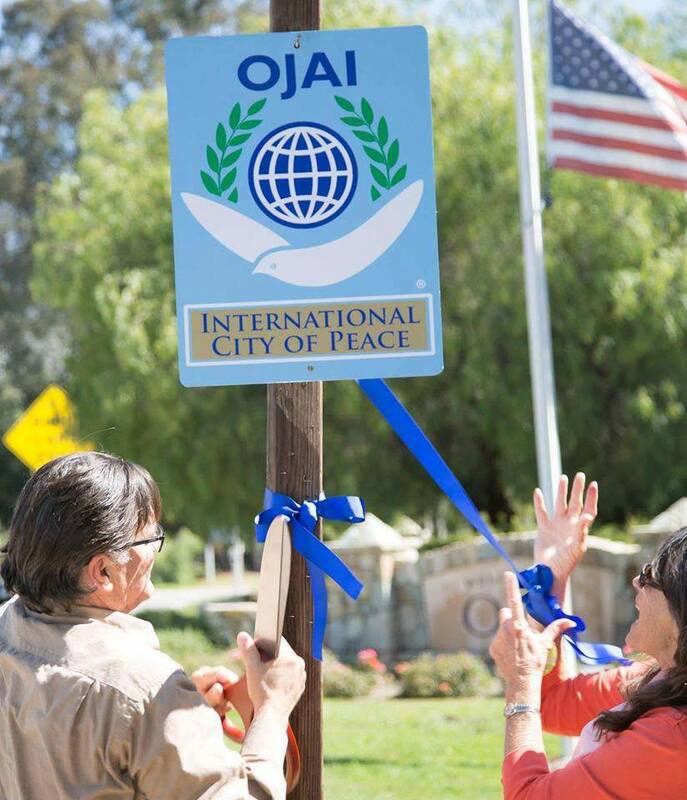 You will also, as a Non-violence City be connected with all other cities around the world that have the same vision of a more peaceful society. The Foundation educates young people and adults in the areas such as self-esteem, conflict management, communication, emotional intelligence and nonviolence. We also take action to raise awareness of our non-violence message, our movement, and our unique symbol. This allows us to spread our programs even further, and benefit more young people. “Inspiring youth through education” is our philosophy for change. Changing attitudes and behaviours, and promoting respectful, non-violent relationships is what we strive for. The Nonviolence Project makes it possible for teachers, sport coaches and youth leaders to interact with young people face-to-face, as well as through e-learning and other relevant digital formats. 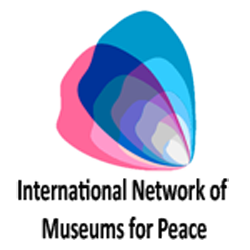 At present our programs are available in English, Spanish, Portuguese, Greek and Japanese. 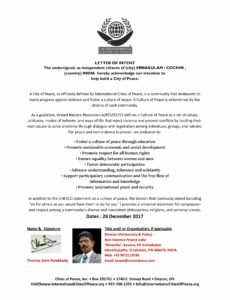 The following Cities of Peace have been established by the leaders of the Nonviolence Project, India in their specific communities. 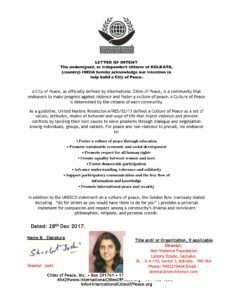 They are committed to the Nonviolence Project and to the intention of International Cities of Peace to use the platform to build an inclusive culture of peace and to bring in all stakeholders in their City. 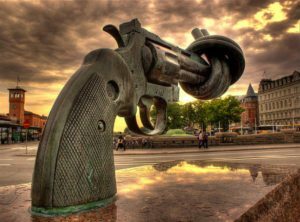 The sculpture Non-Violence is also known as “the knotted gun”. It was originally created as a memorial tribute to the legendary singer and songwriter John Lennon, after he was shot and killed outside his home in New York City on December 8, 1980. The Foundation estimates that almost a billion people have seen the sculpture by now, and that some 100 million new people see it for the first time every year. Today it is placed at 30 prestigious locations around the world. In the fall of 1993, somewhere in the mountains of Switzerland, the artist Carl Fredrik Reuterswärd, senior creative director and marketing professional Rolf Skjöldebrand and Jan Hellman, a top ranked IKEA director at the time working with Carl Fredrik Reuterswärd’s art collection, sat down for a dinner. They discussed how the sculpture Non-Violence – known as one of the strongest peace symbols on the planet – could be elevated into becoming a symbol for tangible non-violence initiatives. Based on ideas of the power of knowledge, violence prevention, and conflict solving the Non-Violence Project was born with a goal to target the next generations inspiring them in how to adapt a peaceful lifestyle. The concept was piloted in Sweden and over the next few years it grew successfully, establishing offices in the U.S., Brazil, Germany and South Africa. The sculpture Non-Violence was also unveiled in several strategic places around the world, most notably in Johannesburg in memory of Kelly Mtembu, a South African NVP-staff member who became a victim of violence, causing us to believe even stronger in the idea of non-violence. The beginning of the new millenium saw changes and new developments of our educational programs for schools and the sports community. 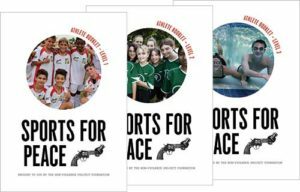 The focus on sports proved successful and later projects such as the “Knot Violence Campaign” aimed at young football players around the world, and “Futbol for Peace” during FIFA World Cup in South Africa 2010, were introduced to further the outreach of our concept. The idea of a fibre glass replica of the symbolic sculpture Non-Violence used during “Futbol for Peace” has also become a strategic symbol for the present campaign “Imagine One Billion Faces For Peace” which emerged in 2010 as the largest call for peace ever manifested in honor of the legacy of John Lennon, 30 years after his tragic death. 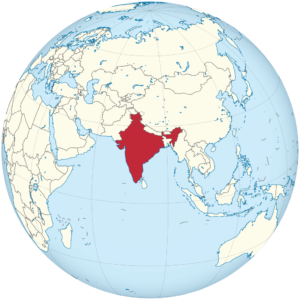 India, officially the Republic of India,[e] is a country in South Asia. It is the seventh-largest country by area, the second-most populous country (with over 1.2 billion people), and the most populous democracy in the world. It is bounded by the Indian Ocean on the south, the Arabian Sea on the southwest, and the Bay of Bengal on the southeast. It shares land borders with Pakistan to the west; China, Nepal, and Bhutan to the northeast; and Myanmar and Bangladesh to the east. In the Indian Ocean, India is in the vicinity of Sri Lanka and the Maldives. India’s Andaman and Nicobar Islands share a maritime border with Thailand and Indonesia. Narkatiaganj is a town and a notified area in West Champaran district in the Indian state of Bihar. It is a part of Tirhut Division, and situated 280 kilometres (170 mi) northwest of capital of the state, Patna. Narkatiaganj is a subdivision region in West Champaran district in the Indian state of Bihar. It is situated 280 kilometres (170 mi) northwest of capital Patna. Narkatiaganj block has twenty seven Panchayats. The city is well connected by roads and railways to all major places of Bihar and neighbor states. It is situated on the Barauni–Gorakhpur, Raxaul and Jainagar railway lines. Kolkata, formerly Calcutta until 2001, is the capital of the Indian state of West Bengal. Located on the east bank of the Hooghly River, it is the principal commercial, cultural, and educational centre of East India, while the Port of Kolkata is India’s oldest operating port and its sole major riverine port. The city is widely regarded as the “cultural capital” of India, and is also nicknamed the “City of Joy”. In 2011, the city had a population of 4.5 million, while the population of the city and its suburbs was 14.1 million, making it the third-most populous metropolitan area in India. Recent estimates of Kolkata Metropolitan Area’s economy have ranged from $60 to $150 billion (GDP adjusted for purchasing power parity) making it third most-productive metropolitan area in India, after Mumbai and Delhi. Gurgaon is a city in the Indian state of Haryana and is part of the National Capital Region of India. It is 32 kilometres (20 mi) southwest of New Delhi and 268 km (167 mi) south of Chandigarh, the state capital. As of 2011, Gurgaon had a population of 876,824. Witnessing rapid urbanisation, Gurgaon has become a leading financial and industrial hub with the third-highest per capita income in India. The city’s economic growth story started when the leading Indian automobile manufacturer Maruti Suzuki India Limited established a manufacturing plant in Gurgaon in the 1970s. Today, Gurgaon has local offices for more than 250 Fortune 500 companies. Ernakulam refers to the eastern, mainland portion of the city of Kochi in central Kerala, India. The CBD is the most urban part of Kochi and has lent its name to the Ernakulam district. Ernakulam is called the commercial capital of the state of Kerala. The Kerala High Court, the Office of the Corporation of Kochi and the Cochin Stock Exchange are situated here. The Ernakulam Junction or South Station, Ernakulam Town or North Station and Ernakulam Terminus (now defunct) railway stations of the Indian Railways lies in Ernakulam. Initially, Ernakulam was the headquarters of the Ernakulam District but was later shifted to Kakkanad. Ernakulam was once the capital of the Kingdom of Cochin. It is located 220 kilometres (137 mi) north-west of the state capital Thiruvananthapuram. The city has served as an incubator for many Malayali entrepreneurs and is a major financial and commercial hub of Kerala.